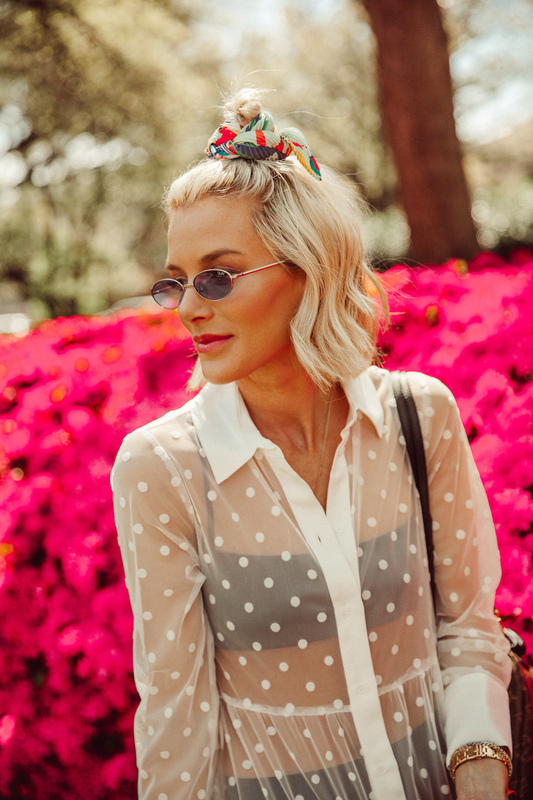 I am so inspired by festival season — for the fashion, music, insanely good styling, and the super fun hair. I really gather so much inspiration this time of year and find myself taking the most risks in all areas. I mean, the last festival I went to I wore glitter down my center hair part — like what?! Festival hair is basically its own category at this point and I’m here for it. What I’m not here for is damaged hair. I wouldn’t say I’m a psycho about my hair, but I’m (a little) psycho about my hair. By that I mean, I spend a lot of money on this hair and I’m not trying to ruin it so I do my best to take care of it. 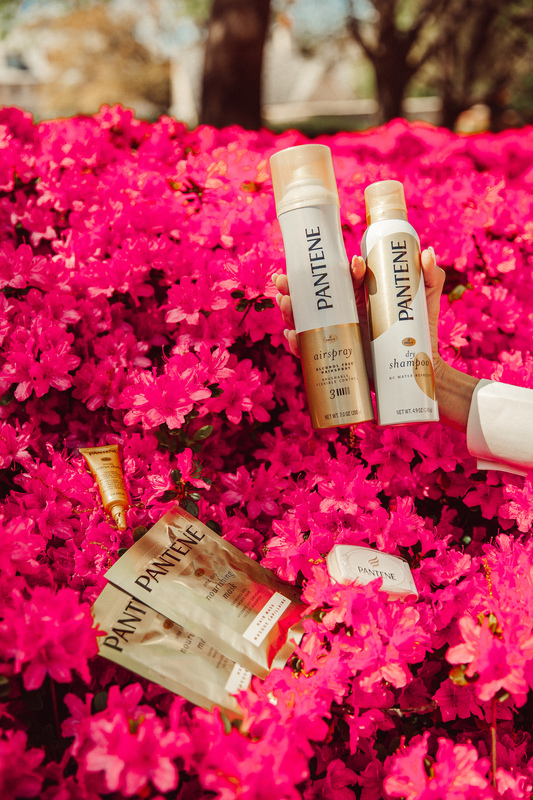 Pantene to the rescue with their genius idea — the Pantene Festival Hair Kit. The last thing I want to be doing at a festival is worrying about my hair, but that’s impossible right? And as the official haircare sponsor of Coachella, Stagecoach and Firefly, Pantene knows what they are talking about! The limited-edition Pantene Festival Hair Kit, includes one Dry Shampoo, one Airspray (alcohol-free hairspray), the Intense Rescue Shots (one ampoule), one On-the-Go Frizz Iron, and two Nourishing Mask sachets. These five essential products in a perfectly-sized portable pack are ideal to rescue, reset and nourish hair whenever/wherever. Here is how I’m using these 5 products for pre, during, and post-festival…. 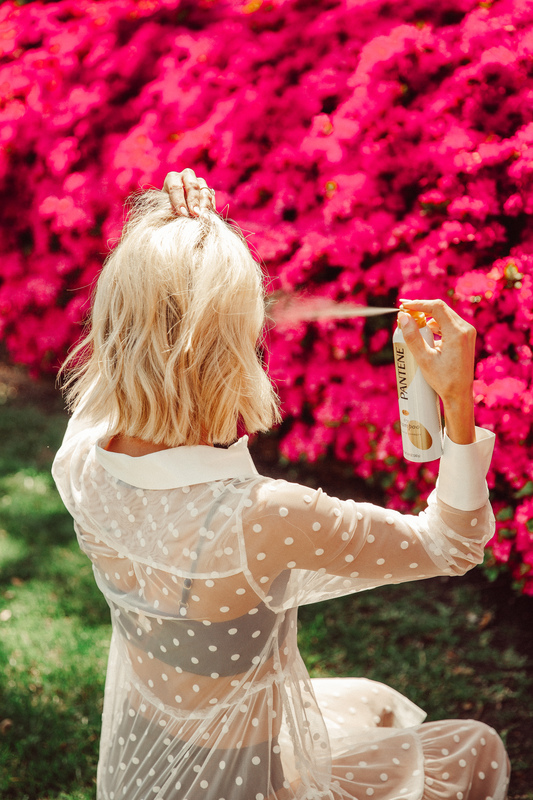 Dry Shampoo – On your second day of not washing your hair? This is your best friend. I rarely go a day without dry shampoo and festival season is no different. An instant refresh (look & smell), texture, and root lift. My hair gets greasy super fast, so my biggest tip here is to start using it before your hair gets greasy! On-the-Go Frizz Iron – This is a serious game changer! I am the queen of fly-aways and frizzy hair. It’s pocket size and you can just run this through your hair for instant frizz control with no heat or water. 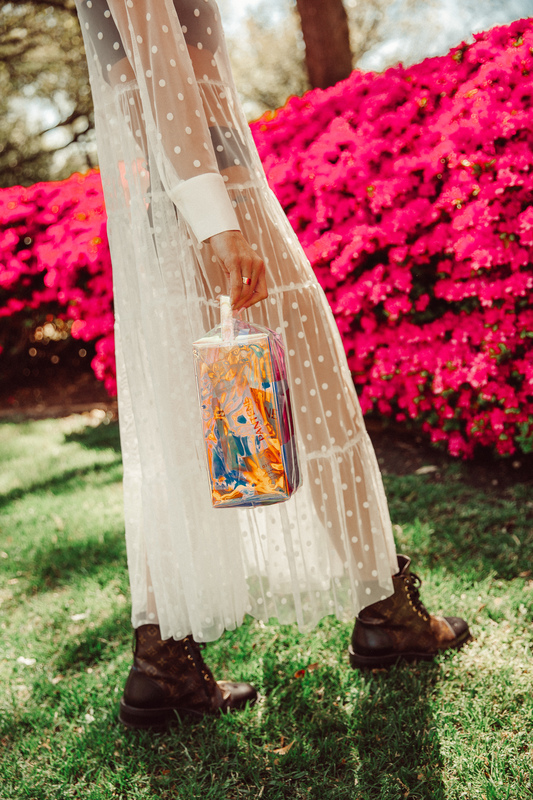 Airspray – I always joke about my afro, but y’all know I have some serious frizz! Right when the humidity kicks in my hair poofs out and frizzes right up. Use this “brushable” spray to lock out humidity and add shine for a strong hold and further frizz control! Intense Rescue Shots – This product does exactly what its name suggests — intensely rescues extremely damaged hair and does it in one shot. No, really. This is currently the #1 selling new treatment item across the haircare category for a reason. Once a week, simply replace your conditioner with the Intense Rescue Shots, apply root-to-tip, wait 30 seconds, rinse for 30 seconds and say goodbye to damaged hair! Nourishing Mask sachets – Think sheet mask but for your hair. Small but mighty — and these are easy to travel with or take on the go. They give great nourishment and hydration to that parched hair we all have after a festival weekend. Use after shampooing in shower and remember to rinse well! Head to Amazon to get the Pantene Festival Hair Kit delivered to your doorstep. It’s also eligible for Prime Shipping! *This post was brought to you in collaboration with Pantene. All thoughts and opinions remain my own.